Northwestern Volleyball is embracing the future as they continue to build under the new leadership of Shane Davis. Davis comes to Northwestern after winning back-to-back national championships on the men's side at Loyola (Chicago). "Contributions from Wildcats supporters truly have the potential to transform athletic programs. I know firsthand what an impact state-of-the-art athletic facilities can have on team success. The developments at Northwestern will help us recruit the highest caliber student-athletes and deliver the ultimate experience for our team and fans. Championship-level success simply isn't possible without the support of our donors, so I thank you in advance for any contribution you are able to make. The future looks bright for Wildcats Volleyball and we hope to see you at a game soon!" The Wildcats surpassed their win output from the season prior, both overall and in the Big Ten. NU posted a nine-match winning streak from Aug. 26 to Sept. 16. 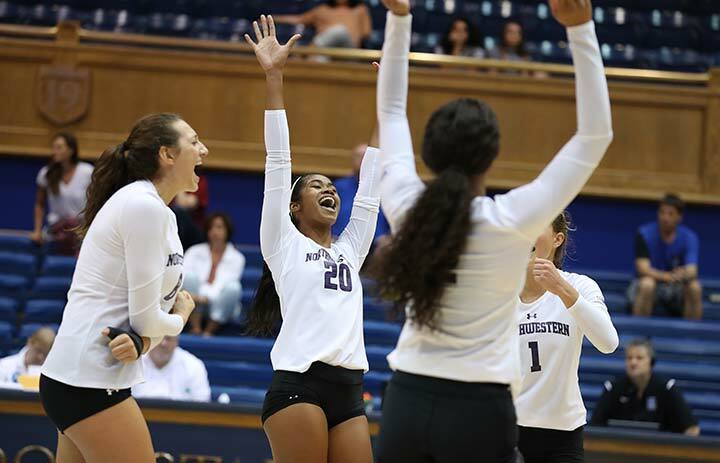 NU logged a .249 team hitting percentage, which was the best mark in program history. Symone Abbott was named to the AVCA All-Region Team after finishing her career with the fourth-most kills in program history.